With the success of launching its newly revamped website, Chong Hing Jewelers now offers the complete line of Patek Philippe watches. Also proudly offered by the esteemed Patek Philippe distributor are other luxury timepieces and fine jewelry. Chong Hing's Patek Philippe watches are luxury timepieces that are worth the investment. Seen here is the Patek Philippe Annual Calendar Chronograph featuring a mechanical self-winding movement visible through a sapphire crystal caseback. Giving home to the Patek Philippe brand is Chong Hing Jewelers, an esteemed Patek Philippe distributor that most wristwatch lovers and collectors prefer for the superior quality and service they offer. Other top brands such as Omega, Mont Blanc, and Bulgari continuously trust the name Chong Hing Jewelers as their distributor. This simply proves that the authorized Patek Philippe Distributor continuously provides astute expertise and superlative choices when it comes to luxury timepieces. For 38 years, Chong Hing Jewelers has proven its reputation for luxury timepieces that has satisfied the demands of its discerning customers. Chong Hing Jewelers consistently gets first priority when it comes to limited well-known brands such as Patek Philippe and other well-known Swiss wristwatches. Valued for the movements it revolutionized in the world of watch making, Patek Philippe is known to be one of the royalties when it comes to luxury timepieces. 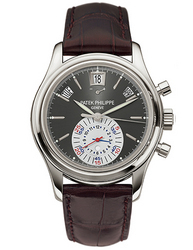 The Patek Philippe brand is well revered and recognized to be at the peak of high-end watches. Sitting at the most important place in watchmaking, Patek Philippe is proud to have over 70 patents in its label. Chong Hing Jewelers also has the latest collection in fine watches, luxury timepieces, and loose diamonds. Customers will be happy to know that a wide range of gift choices can also be purchased such as cuff links, home decor, objets d'arts, crystalware, porcelain, charms, and leather goods. For the latest updates in Patek Philippe timepieces and loose diamonds, simply sign up with the company's newsletter. Chong Hing Jewelers, a purveyor of high-end watches and jewelry, has built a reputation for incomparable service and value. Chong Hing Jewelers is proud to be an Authorized Dealer for esteemed brands of exclusive Swiss watches, rings, necklaces, bracelets, earrings and other Gifts & Accessories. Chong Hing Jewelers' collection of loose diamonds, engagement rings, 18k yellow gold, white gold, rose gold and platinum jewelry is sure to fit every personality, attitude and lifestyle for even the most discerning customer. Press release produced by Cybertegic.com - an Internet marketing services agency that specializes in search engine optimized press release marketing (SEO marketing). 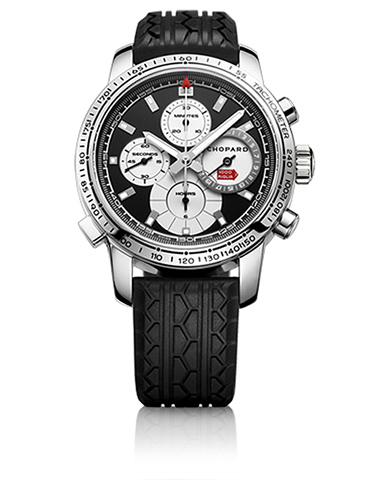 Other luxury timepieces such as the Chopard Mille Miglia Sports has a stainless steel case and a silver dial Mille Miglia style. 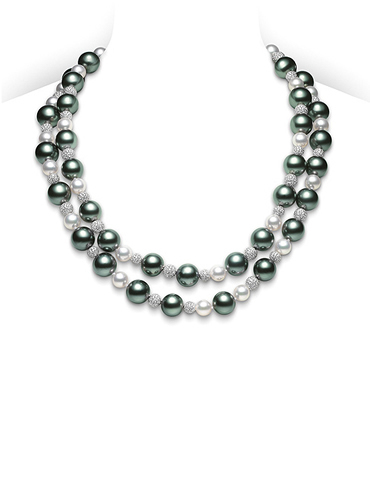 Chong Hing Jewelers also offer fine jewelry such as this Mikimoto pearl necklace featuring diamond pave spheres.